Tissue forceps are used in surgical procedures for grasping tissue. Often, the tips have "teeth" to securely hold a tissue. 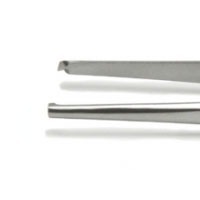 Typically tissue forceps are designed to minimize damage to biological tissue.